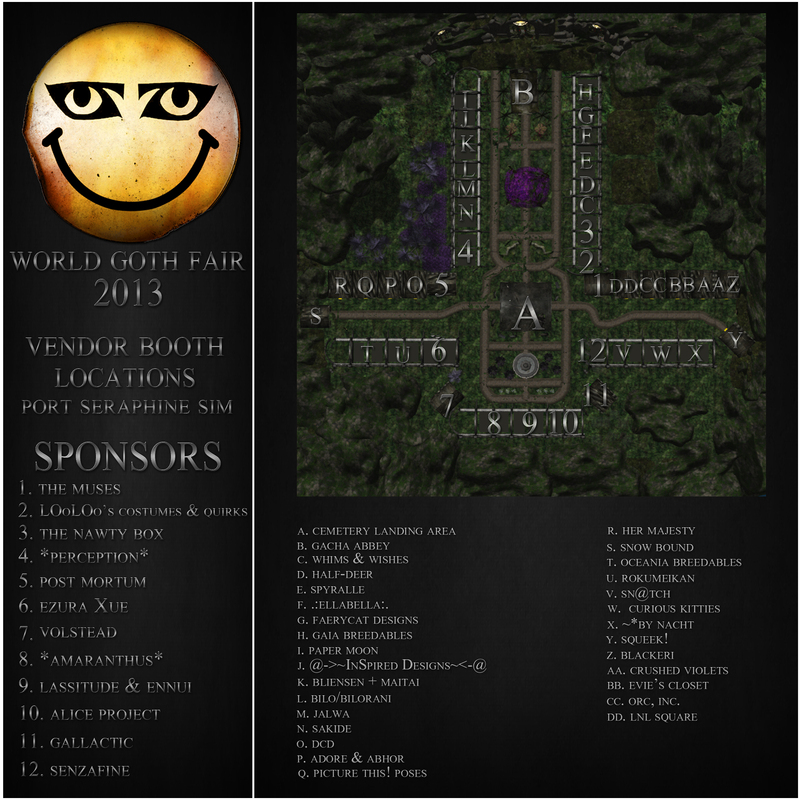 The World Goth Fair is an annual Second Life event, officially sanctioned by the folks at World Goth Day to benefit the Sophie Lancaster Foundation. The event runs from May 15th through the 31st and features a massive amount of vendors, musicians and two huge areas to explore. For more information, be sure to visit the World Goth Fair site. Help do your part to end prejudice and promote understanding. Celebrate individuality by supporting this annual event and visiting the Port Seraphine sim now through May 31st.